The primary unit of the NA program is the NA group and the groups follow the Twelve Traditions of Narcotics Anonymous to fulfill our common, primary purpose; To carry the message of recovery to the addict that still suffers. Hospitals and Institutions – Staffing meetings for addicts within hospitals, treatment centers and institutions where the client cannot attend regular meetings outside of their facility. Public Relations – Interfaces directly with the public on behalf of the groups and conducts public relations activities to reach out to the addict that still suffers. Phonelines – Maintains telephone services, or “helplines“, to offer information on the program, where meetings are and to speak to the newcomer. 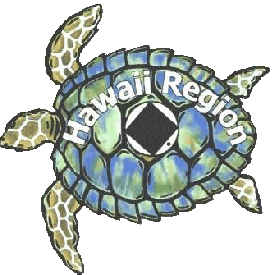 The Hawaii Regional Service Committee’s purpose is to “facilitate resources that unify the Hawaii Region through support of the Area Service Committees within the Region by providing timely and effective access to information and services, resulting in the continued improvement of the implementation of our services to further our primary purpose throughout our unified areas …”. The HRSC does not provide direct services as the area service committees do. 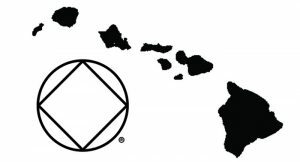 However the HRSC does maintain this website, sponsor an annual regional convention and facilitate communication and direction between NA World Services and the member groups in the Hawaii Region. You may contact the HRSC trusted servants through this website’s contact page.